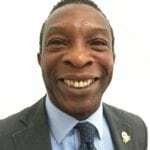 Martin is Visiting Professor for Health, Education and Life Science at Birmingham City University as well as being the founder and business development director of Medical Devices Technology Limited, a specialist company for the supply of NHS medical devices and services. Previous positions include, Royal Army Ordnance Corp Ammunition Technician, Export Manager at J.C. International Commodities S.A., Trade Finance Manager for North African Desk of Benesto. He has also worked with Monroe Business Development Consultancy and Pintos Global Services Limited.